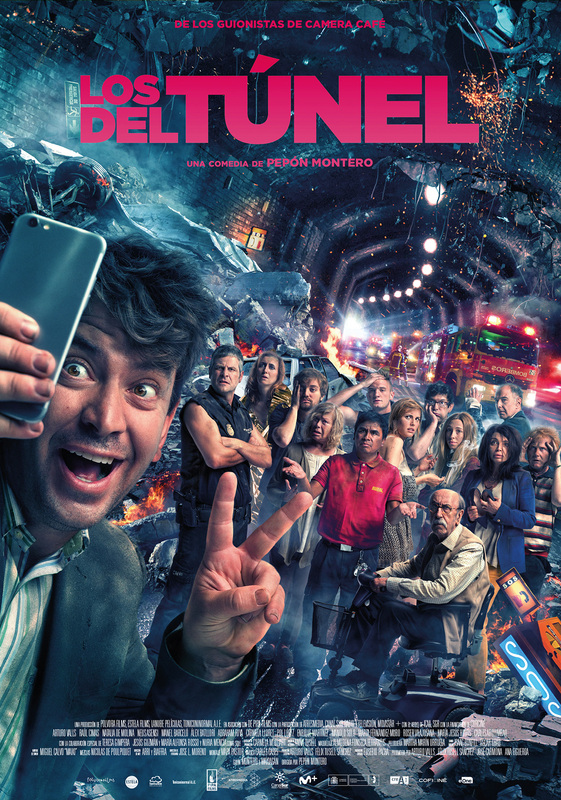 Official poster for the film ‘Los del Túnel’ directed by Pepón Montero. Starring Arturo Valls, Raúl Cimas, Natalia de Molina, Manolo Solo, Enrique Martinez, Nuria Mencía, Neus Asensi, Manel Barceló, Violeta Rodriguez, Jesús Guzmán, Teresa Gimpera, Carmela LLoret, Alex Batllorí, Carles Arquimbau, Maria Jesús Hoyos, Marta Fernández Muro, Pol López and Abraham Fuya. A group of survivors is rescued after being trapped for fifteen days in a tunnel. While the others celebrate being alive, Toni considers his condition of idiot of the group and that adds to him in a crisis greater than the own experience of the catastrophe. Will he be able to get out of that tunnel?